High quality models provide high Return On Investments ! 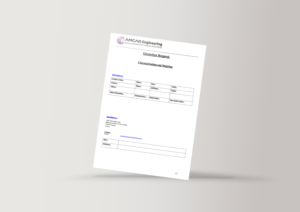 AMCAD core expertise is to provide very accurate component and circuit models for reliable and efficient RF, microwave, mm-wave circuit and system simulations. Using Pulsed IV and pulsed S parameter measurements of on-wafer devices with thermal control, we provide transistor compact models, for simulation in the main commercial circuit simulators. 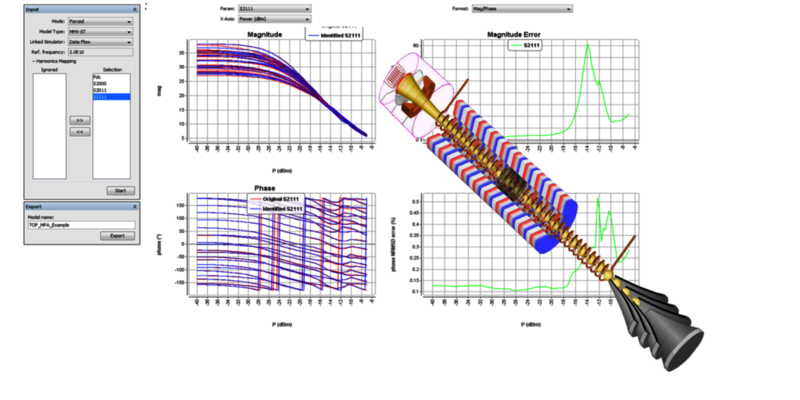 These models are validated by VNA based load pull measurements. They offer an access to the intrinsic current reference plane, they take into account dynamic self-heating, as well as parasitic behaviors such as lagging effects. They are naturally wide band, and because of their equivalent circuit topology, they provide precious information on the technology, and can be easily updated according to process variations in a limited period of time. AMCAD also provides an Enhanced Poly Harmonic (EPHD) modeling services, based on load pull measurements. This methodology provides a cost effective solution, when the need is to get a black box model of packaged transistors or on wafer devices, within few days. 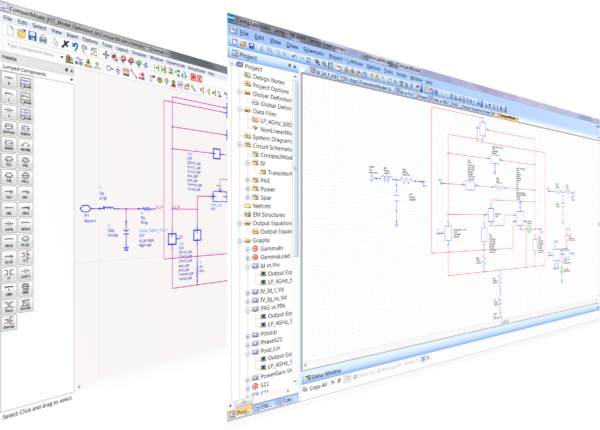 Thanks to VISION Modeling platform, AMCAD can offer state-of-the-art behavioral model services of different circuits such as Low Noise and High Power Amplifiers, Mixers, Limiters, Multi-function chips (vector modulators) or passive circuits such as high selective narrow band filters. 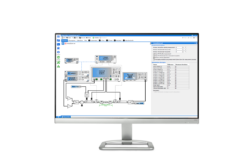 These models can be used in system simulators, they are exported with their own equation solvers, facilitating the system data flow and transient simulations, without circuit co-simulations. From AM/AM and AM/PM characterisics of TWTA, AMCAD can also provide very wide band behavioral models that enable harmonic simulation with one tone, two-tone signals or envelope transient when the system is driven by a pulsed or modulated signal. In addition with the RF behavior description, our model predict the dynamic DC power consumption, helping our customers to size, linearize and optimize their systems for space communications. The most advanced solutions and tools in test and modelling to the RF and microwave IC market.